Valet Parking available at front door. Also there are Garages at Ohio & Wabash, as well as Ontario & Wabash on both corners. Best in class songs songs you know by heart from the 50's, 60's 70, 80's 90's to today current hits! Always at the right volume not to loud and not to soft. Not just another steakhouse, Steak 48 - Chicago is a warm contemporary steakhouse featuring prime steaks, a raw bar, and extensive fresh seafood selection, unique appetizers including ahi poke and deviled eggs with crisps shrimp and side dishes including a double baked truffle potato, asparagus fries, and corn crème brûlée, classic cocktails and an extensive award-winning wine list. Wayne was great along with the rest of wait staff, very attentive yet not intrusive, good food and drink. Great location, close to hotels, shopping, plenty of parking nearby or valet. Love the atmosphere. The steak on the sizzling plate is fantastic. Enjoy. Amazing dinner with awesome food. The filet and scallops were incredible. But the shrimp app and beignet tree for dessert are still my ultimate faves. 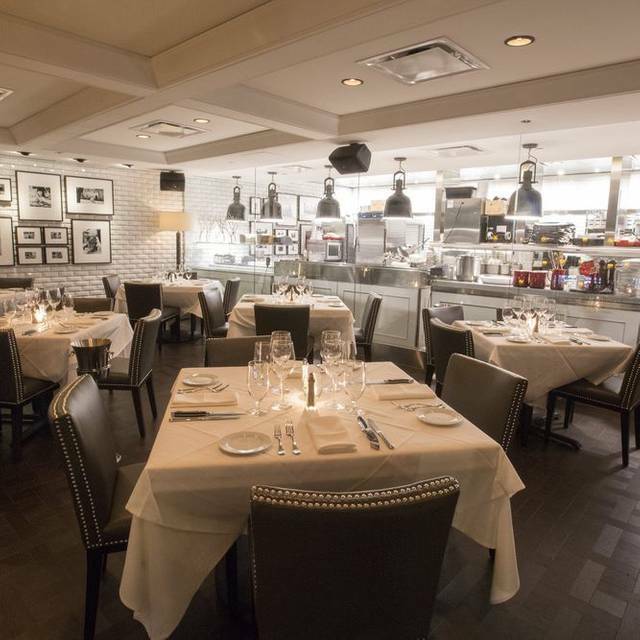 Depending on the experience you’re looking to have or guests you’re with i.e., biz event, friend celebration or date night), ask about different areas of the restaurant to sit. There’s a great space right outside the kitchen to watch the chefs in action. There’s a darker, quieter room on the first floor. And the upstairs has a beautiful room with outdoor fireplace on the balcony. Lots of options. We will be back. Our meal was wonderful and the old fashion was really good! Eric was an excellent server. The restaurant is expensive, but worth it. We will definitely return for special occasions. My all time favorite restaurant! My husband and I love it! From appetizers to dessert!! Simply the best! What an impressive restaurant we have here, with an amazing decor, my server Marcus J was also spectacular. The food here is so good, if considering other steakhouses in Chicago (I’ve been to them all) go here. Had the American Waygu Butchers Cap steak it may be the very best in the USA... Honestly don’t waste your time going to RPM, Maple & Ash, Gibson’s or anywhere else. For absolute professional service and amazing food Steak 48 is definitely a few notches above. Oh they have these mini cookies that are more of a parting gift so yummy! Best steak I have had in a very long time! Service was incredible! Food excellent. All done to order. Service lacking, especially when it comes to water and coffee refills. For a restaurant of this cost, water should not be empty, ever. Never mind having to ask over and over again and wait and wait. 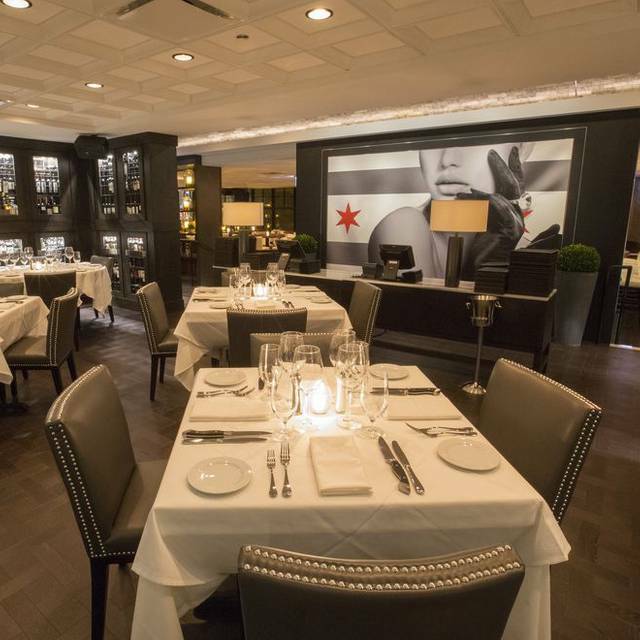 I am putting steak 48 in my top five favorite restaurants in Chicago. The food was delicious I never had to wait on my server to show up and the price wasn't too bad for what we had. I will be returning. 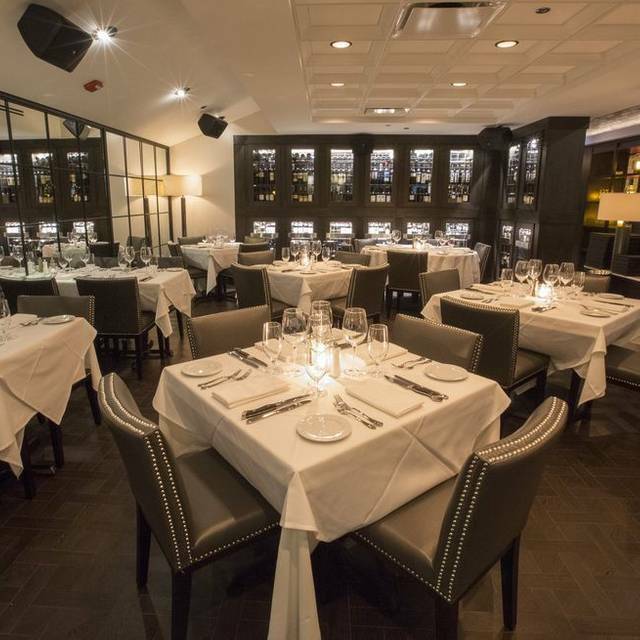 The food was very good however based on the premium pricing I compare it to Joes and RPM Steak. I feel the food is more special at those locations. The service was excellent. I absolutely love steak 48. My server Michelle and the other staff was very friendly, attentive and food was delicious!!! I will be back next month with my mom. Steaks were great , but must order the corn creme brûlée!!!! The crispy shrimp was really fresh and very good. I would recommend this appetizer. The deviled egg crispy shrimp was different, but also good. The seafood portions are pretty good. The Chilean sea bass had a lot of flavor for that type of fish. The cocktail Stone fruit was so good and a must try. 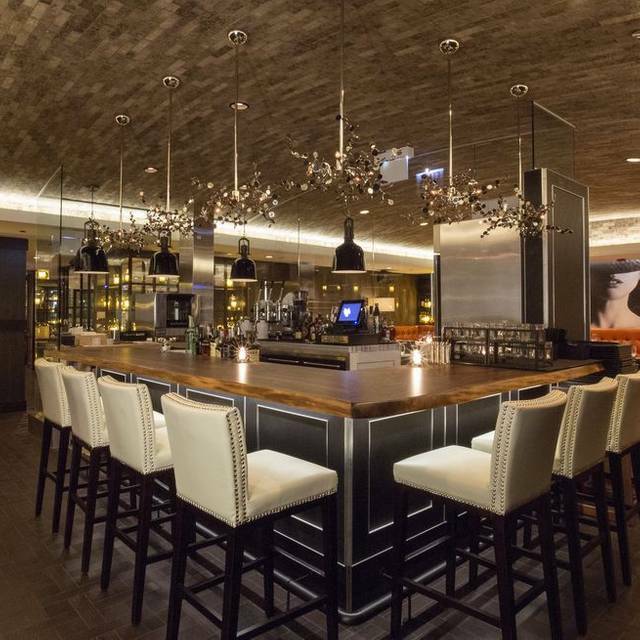 It’s a lovely modern take on what a steakhouse should be. Energetic crowd that was inviting. The bone-in filet and the brussel sprouts were too greasy to enjoy. Cool restaurant and great staff. I will not be returning. I would recommend that you ask not to be seated near the back where the kitchen is, because it is way too loud to have a conversation. Choose a private area of your going to eat here! Other than the noise level, the food was excellent! Mike was our waiter and he did an excellent job very friendly from one Texan to another! Best place to eat an amazing steak dinner. A must place to stop and visit. Favorite Chicago restaurant hands down for quality of food, excellent service and great atmosphere. Have been 5 times now and can't wait to go again. Excellent meal. Wait staff was great. Truly a memorable meal. We had a great anniversary dinner at Steak 48! Food and service were both outstanding! Great ambience and we will definitely go back! 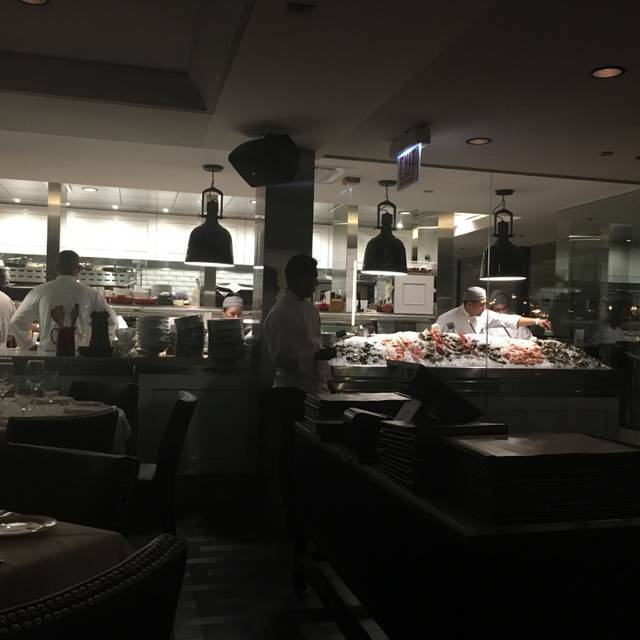 Quickly became my favorite steakhouse in Chicago after one visit. Looking forward to my next visit. From the decor to the food, everything was fantastic! Server and food were outstanding! Very much enjoyed our experience at Steak 48. Our waiter was top notch and so was the food. Thank you! Quality restaurant for a special occasion. Steak 48 exceeded our expectations. The ambience, the food, the customer service were all top notch. 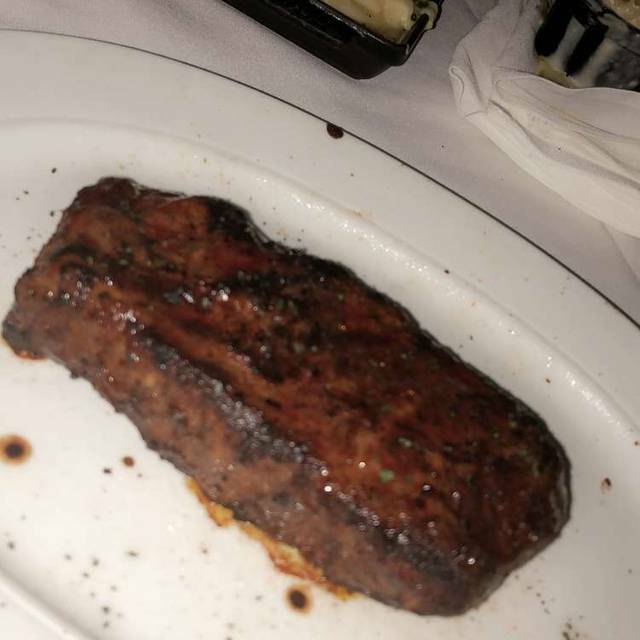 I'll recommend Steak 48 to any friend looking for a restaurant to celebrate a special occasion. 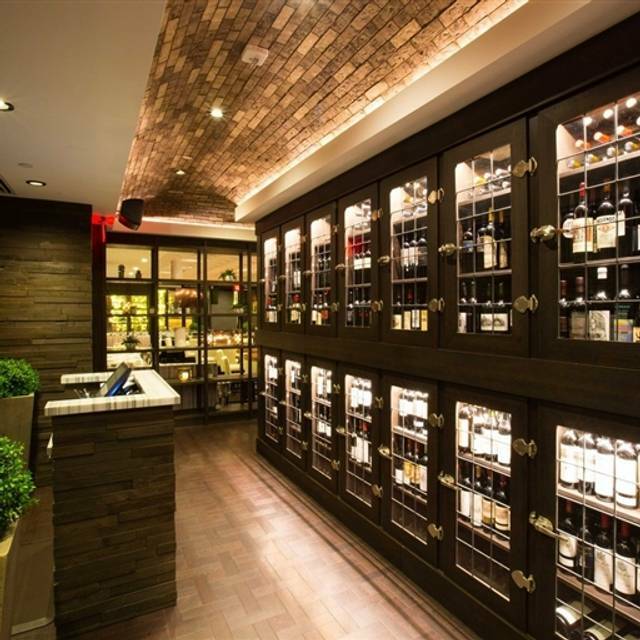 I've added Steak 48 to my list of favorite restaurants. Everything was great , my first time there and will be coming back . Best waitress hands down . Our meal was great, and our waiter, Z, made the evening perfect! Experience was wonderful! Stopped and the bar for a drink before dinner and the service and cocktail were both great. Once seated, Andreas was our server and did an excellent job. Not only was he professional and friendly, but he was super funny and made our time dining entertaining. The food was excellent. Looking forward to returning again soon! 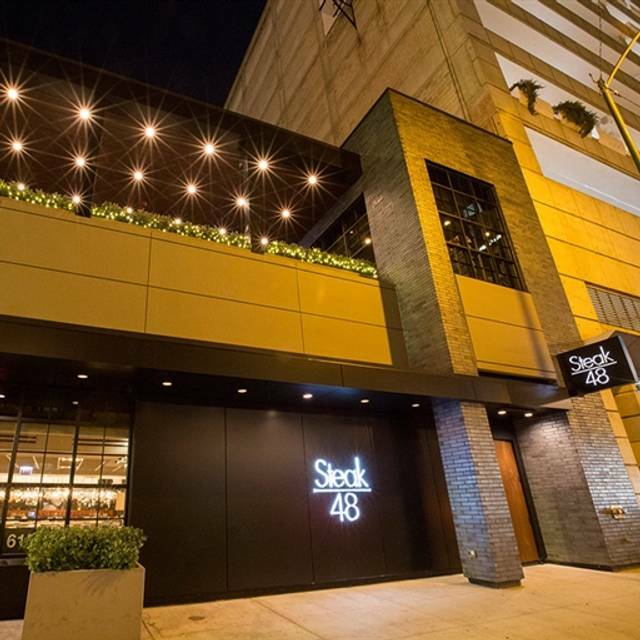 I've been to Steak 48 multiple times but last week was the first that I dined upstairs. It was a little dark but it didn't take away from the delicious food and experience. My husband and I took our daughter here for her 21st birthday celebration and are so thankful we did. We have had the privilege of dining at a lot of excellent restaurants over the years and we all agreed that this may have been our best overall experience ever! Our server, Zsolt, was hands down the best server we have ever had. He was sincerely cheerful and helpful, making some excellent suggestions without being pushy. The crab leg appetizer he suggested was amazing, with huge pieces of sweet meat that took no effort to extract. 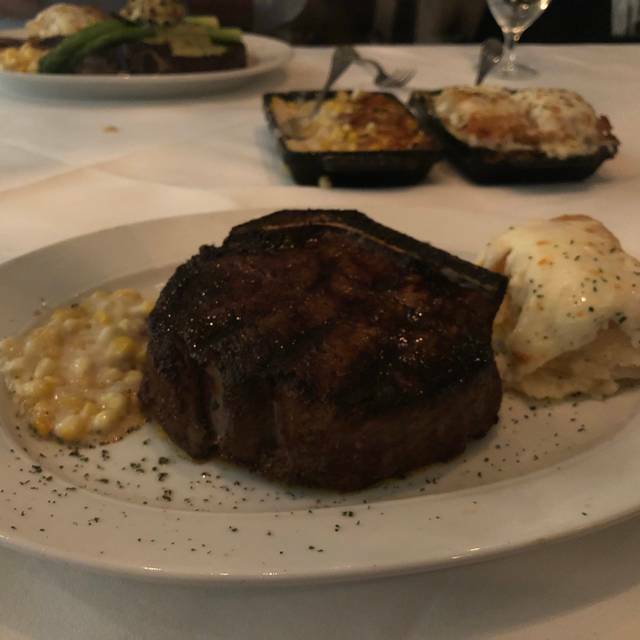 My daughter and I both had the filet and thought is was probably the best we've ever had, which isn't easy considering you usually expect an excellent filet at any quality steakhouse. The side dishes were also great, we had the brussel sprouts, corn brûlée, and mashed potatoes. The environment was dark and inviting. We will absolutely visit again next time we come to Chicago. The food was wonderful. Unfortunately, we were seated near the kitchen. Every time they brought out towels they passed us. The towels had a repugnant smell. It was making everyone feel sick. Our first trip to Steak 48 was 1 1/2 weeks after opening and it is still as great now as then!!! We live in North Carolina and don't get to Chicago often but, anytime we go we will always make time eat a great meal there. Great food and great service.